Can it clear the air? Instagram hath felt the wrath of a confused and angry public, and promised to reveal all things soon. "We'll have more to share very soon." The uproar serving as background to this tweet are changes to the site's user policies that take effect Jan. 16, 2013 - ones that have some freaking out and vowing to abandon Instagram's photo-filtered ship. The company's new terms basically laid out that a business can use Instagram user images, username, location and other data in advertisements on the site without users' knowledge or compensation. Ads aren't going to look like ads either, so that photo of people playing with their dogs could be an organic user post or an ad for dog toys. The Verge pointed out Instagram can't just sell all user data to any Joe Blow business that wants to market on the site, with the ads looking more like Facebook-eque Sponsored Posts than anything. Instagram can't modify user photos, the publication explained, which is actually an improvement over the old Ts & Cs. However, a company logo next to a picture you've posted could be OK, even if you've never heard of whatever brand your mug is pasted next to. 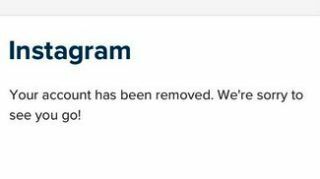 The thing is, Instagram hasn't offered any explanation to on its new terms, so there's clearly a lot of angst among users about what exactly will happen to their photos and information once they post it to the site. So yes, Facebook-owned entity, please fill us in on your intentions.